Club verification opens 25 March, 6pm. Substitutions close one hour before this, at 5pm. 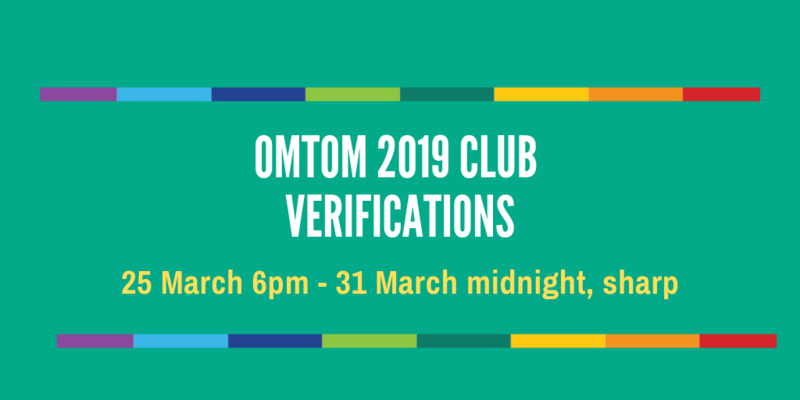 All clubs should please verify your current, valid and paid-up members within the OMTOM entry system, and to approve/decline memberships as appropriate. This is the only window for club member verification and you are required to verify your members’ 2019 details. We rely on and appreciate your honest cooperation.